As an ISO 9001:2015 Certified company, quality and customer satisfaction always come first. At ACP Composites, quality isn’t just what we deliver: it’s what we believe in and commit to. It is a mentality and ethic deeply rooted in our company values and is essential to our continued growth and success. We foster a company-wide, quality-focused attitude that is present in all that we do, and strive to meet not only your requirements but also ACP Composites’ rigorous quality standards. We value your reputation as highly as we value our own. Achieving and maintaining a high level of quality throughout our quality assurance program so you can feel confident in the work we provide. 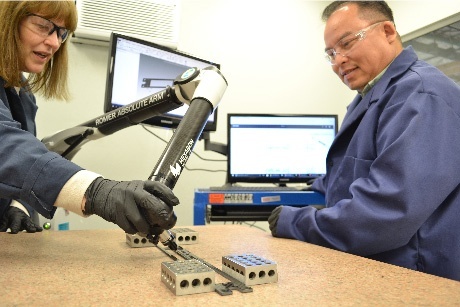 As a part of ACP Composites’ commitment to quality, we provide cutting-edge inspection equipment and services to ensure a quality product is delivered on-time, every time. We continually review, document and improve all processes, giving you the assurance that ACP Composites operates at the highest possible standard. Our quality inspection centers are equipped with calibrated test, measure and inspection equipment used throughout all stages of a project. ROMER Absolute ArmTM is a portable, all-purpose 3D measuring arm equipped with an integrated RS4 laser scanner and Hexagon Metrology Software. More than a metrology tool, the ROMER Absolute ArmTM can capture precise measurements either by touch-probing or laser scanner. This complete measuring system can capture 3D data points on a variety of surfaces and has a 3 ft. arm capable of measuring up to a 10 ft. diameter, with an accuracy of ± .001”. 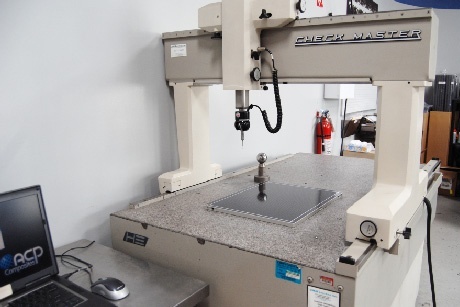 The CMM Machine can easily and repeatedly inspect, measure and scan with extreme accuracy. Precise measurements of the X, Y, and Z coordinates are generated by a touch probe and are capable of measuring up to 24 in. x 48 in. 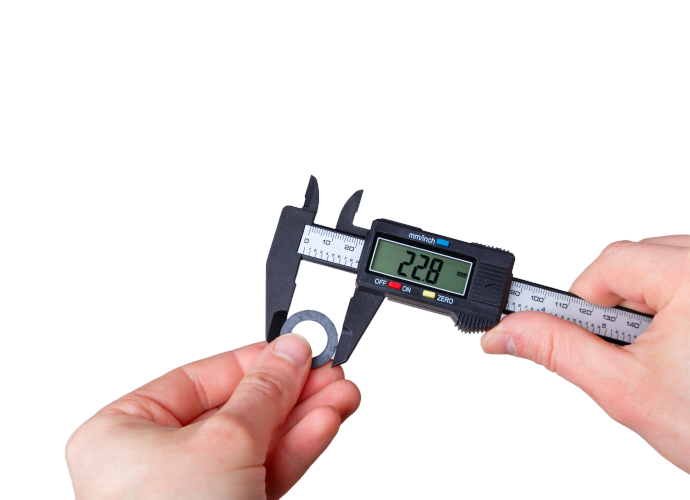 dimensions with an accuracy of ± .0001″ to ± .00005”. With Nikon Metrology Software, our skilled technicians can achieve real-time verification and inspect-to-print, monitor process control, analyze process variables, solve production problems, verify tooling and document quality, all in a single system. 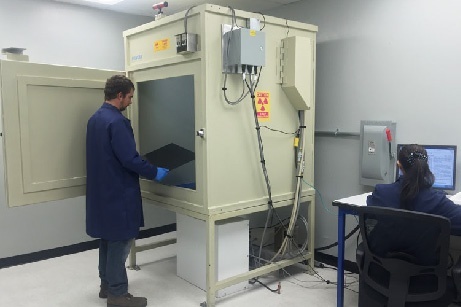 The X-Ray Inspection Cabinet is a non-destructive testing method that provides real-time imaging using x-rays to detect potential inconsistencies and defects in parts up to 24 in. x 24 in.